NextWaveDV – How Do You White Balance a Satellite? How Do You White Balance a Satellite? White balancing your camera is an important step that can dramatically effect the outcome of your footage. Daylight is around 5600 Kelvin (the standard measurement of color temperature), but can range from 5000K to 7000K or more. Some cameras can dial in the specific degree Kelvin temperature, while others use a white source to tell it what “white” is in that light. But how do you do that with a satellite? Use a dried out salt lake. 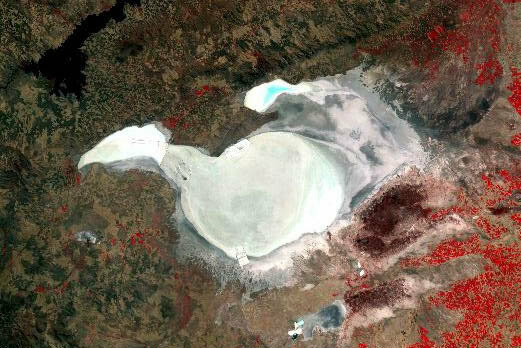 For years, scientists have been using Lake Tuz to set the white balance of their satellites. For the next two weeks, scientists from around the world will be utilizing this time to calibrate their satellites. Check out the full story here.